SAN ANTONIO--(BUSINESS WIRE)--Jan. 28, 2019-- Abraxas Petroleum Corporation (“Abraxas” or the “Company”) (NASDAQ: AXAS) today provided 2019 Guidance, Operations and Corporate Updates. In light of the current commodity price environment and the Company’s focus on capital efficiency, Abraxas has revised its 2019 capital budget to $95 million, down from the previously announced $108 million. This budget is designed to produce free cash flow in the current commodity price environment, with limited impact on future production growth. The free cash flow will be used to pay down debt. This revised budget will entail the drilling and completion of 6 gross (4.3 net) wells and the completion of 4 gross (1.0) net wells in the Bakken, and the drilling and completion of 5 gross (4.75 net) wells and the completion of 2 gross (1.9 net) wells in the Delaware Basin of West Texas. The budget includes $10 million for additional leasing and infrastructure in the Delaware. Using preliminary numbers, 2018 daily sales averaged 9,811 barrels of oil equivalent per day (BOEPD), with the 4th quarter sales averaging 10,498 BOEPD and December sales averaging 11,427 BOEPD. The yearly average, which was up 33% over 2017, was slightly below the low end of our guidance of 10,000 BOEPD. As previously announced, production was negatively impacted by shut ins for offset frac protection, continuing issues of gas flaring, and the purposeful restriction of Bakken production during December due to a temporary increase in basis differential to over $20 per barrel and a more favorable differential of approximately $9 per barrel in January 2019. Capital expenditures for 2018 were approximately $171 million, which is above our original guidance of $140 million, due to several reasons. We were successful in acquiring more net acres in the Delaware than originally anticipated, which subsequently led to higher working interests and costs, in several wells drilled and/or completed. In addition, the planned sale of our Eagleford assets did not close in 2018, the anticipated proceeds from which were included as a credit in our original net $140 million budget. In anticipation of future offset frac operations, we have incorporated into our 2019 production guidance an estimate of production shut ins, as well as an estimate for future gas flaring. Our production guidance for 2019 is an average daily production between 10,500 and 11,500 BOEPD, the midpoint of which would result in a year over year production growth of approximately 12%. These production numbers are generated using our type curves on the various formations we are developing in our program. We encourage the reader to consult our website, www.abraxaspetroleum.com to see how our wells are performing versus the type curves currently in use. In North Dakota, other than normal operational occurrences, all wells are on production except for one recently completed well that is waiting on equipment and weather to retrieve a piece of coil tubing from the cased wellbore before completing operations for production. The newer wells are still producing under voluntary choke restriction as differentials continue to improve from over $21 in December to under $9 for January to under $6 for February. Despite our choke management regime, we are encouraged with the performance of our newest Bakken wells incorporating our 5th generation completion design. Specifically, our four well Ravin NE Pad recently reached a peak rate average of 2,155 BOEPD per well (84% oil), with the Ravin 13H achieving an IP 24 of 2,925 BOEPD (81% oil) on an 18/64” choke, a new production record for the Company. During the fourth quarter production was down approximately 1,085 BOEPD due to frac protection early in the quarter and gas flaring throughout the quarter. The frac protect protocol is behind us, but the flaring is unacceptable. We have begun a high priority project to find an alternative to conserve this currently flared gas. We have shut down the Raven drilling rig until spring to not only conserve our budget, but also to give us time to resolve the flaring issue. We have 19 gross (11.5 net) Middle Bakken and First Bench Three Forks proved undeveloped wells yet to drill, and a currently unknown number of Second Bench Three Forks wells where offset activity has been encouraging. In the Delaware Basin, West Texas and specifically Ward and Winkler Counties, operations are running smoothly. We are currently drilling in the lateral on the initial well on our Hackberry Pad where Abraxas has a 75% working interest. 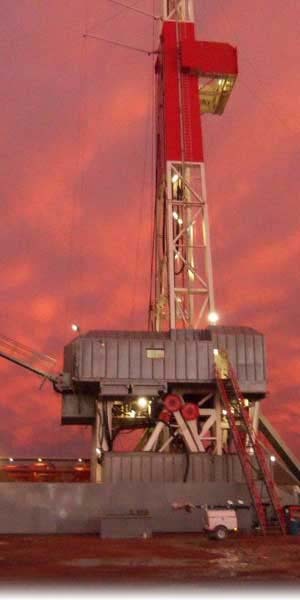 The rig will move next to the two-well Woodberry Pad where we have a 100% interest. Frac operations are scheduled to commence the second week of February on the two well Creosote Pad where we have a 95.5% working interest. We continue to close on small bolt-on lease acquisitions. Our net acreage is now approximately 11,130 acres, essentially all of which is held by production. This number excludes approximately 2,389 acres of perpetual mineral acres near the Alpine High area in Pecos County. As part of our efforts to crystalize the value of our Bakken assets for our shareholders, Abraxas has engaged Petrie Partners LLC to assist the Company with identifying and assessing options for our Bakken holdings. This process may lead to a sale, a securitization, some other transaction, or it may lead us to continue to develop the asset and retain it as a source of cash flow. Safe Harbor for forward-looking statements: Statements in this release looking forward in time involve known and unknown risks and uncertainties, which may cause Abraxas’ actual results in future periods to be materially different from any future performance suggested in this release. Such factors may include, but may not be necessarily limited to, changes in the prices received by Abraxas for crude oil and natural gas. In addition, Abraxas’ future crude oil and natural gas production is highly dependent upon Abraxas’ level of success in acquiring or finding additional reserves. Further, Abraxas operates in an industry sector where the value of securities is highly volatile and may be influenced by economic and other factors beyond Abraxas’ control. In the context of forward-looking information provided for in this release, reference is made to the discussion of risk factors detailed in Abraxas’ filings with the Securities and Exchange Commission during the past 12 months.